This is what happens when imbeciles like Barack Hussein open the door to amnesty, it becomes an entitlement. To who, you ask? All of the billions of people in third-world countries who would prefer living in the United States to whatever hellhole they are living in today. And, here’s the great part – they don’t have to worry about pesky laws because Barack Hussein just ignored those. So, if you want to live in America and take advantage of its generous social welfare system, then do it! Just sneak in. A short walk across the Mexican border and you are in. Once here, join millions of others demanding equality from your ungrateful hosts, those American Nazis who want their country safe and secure and maintaining an atmosphere for prosperity for them and especially for their children in the future. Those cold-hearted bastards! 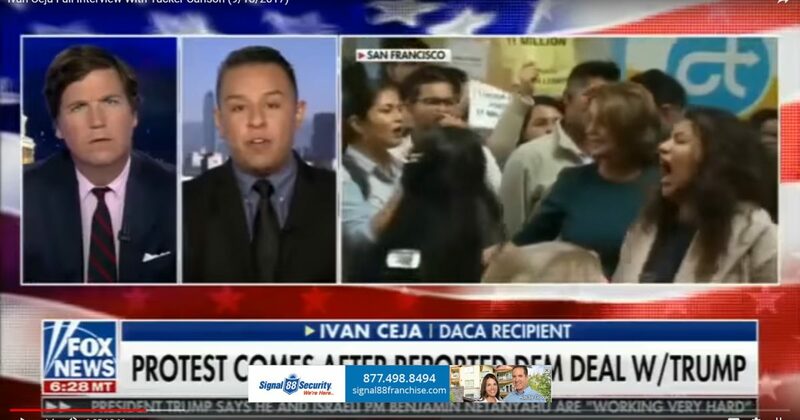 Watch this brain-dead Dreamer (read: illegal immigrant) try to convince Tucker Carlson that not only do he and the 800,000 other Dreamers have rights in this country, but so do the 11 million illegals (estimated number, which is more likely between 20 million and 30 million) who brought them across the border ILLEGALLY.